UPDATE: This sale has been extended for three more days through December 20th! 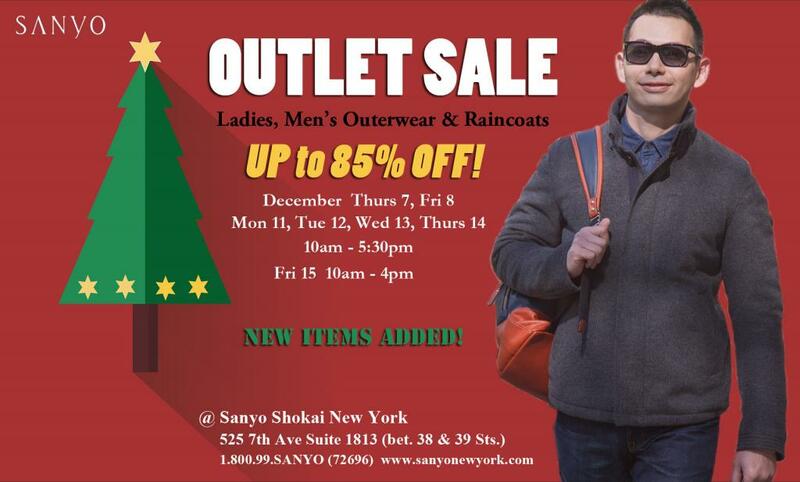 Take up to 85% off ladies' and men's outerwear and raincoats at this outlet sale happening now at Sanyo Shokai in New York! Note that the sale is open on weekdays only. Find them on 7th Avenue between 38th and 39th Streets.